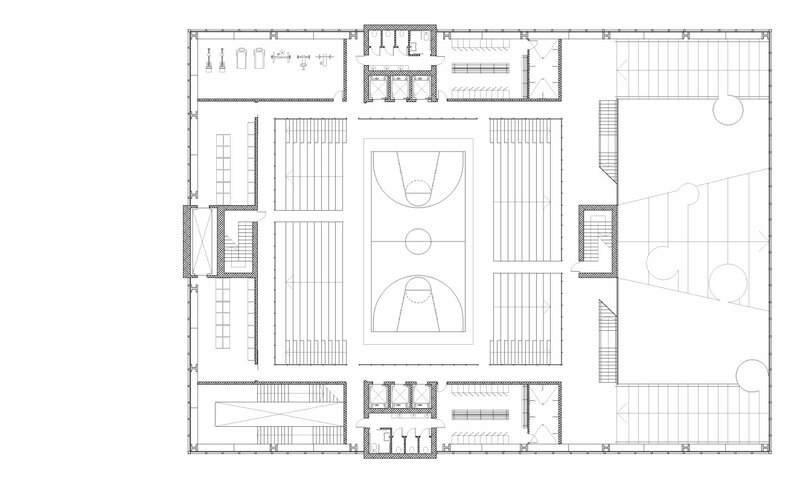 a competition entry for a center for architecture, design and education in chicago, il. 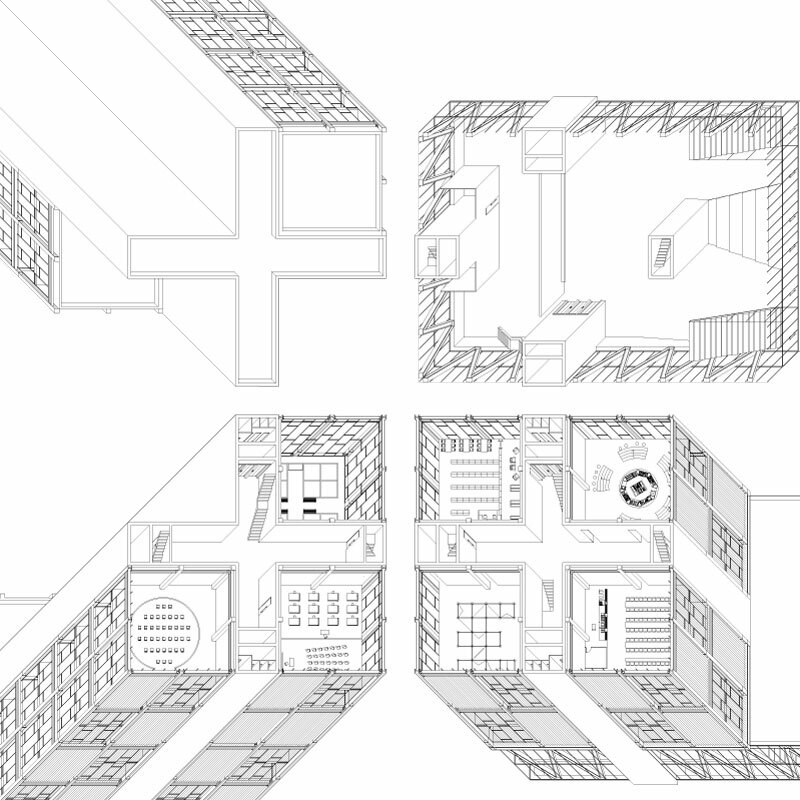 1 – axonometric projections of 'untitled' cut at different floor levels. 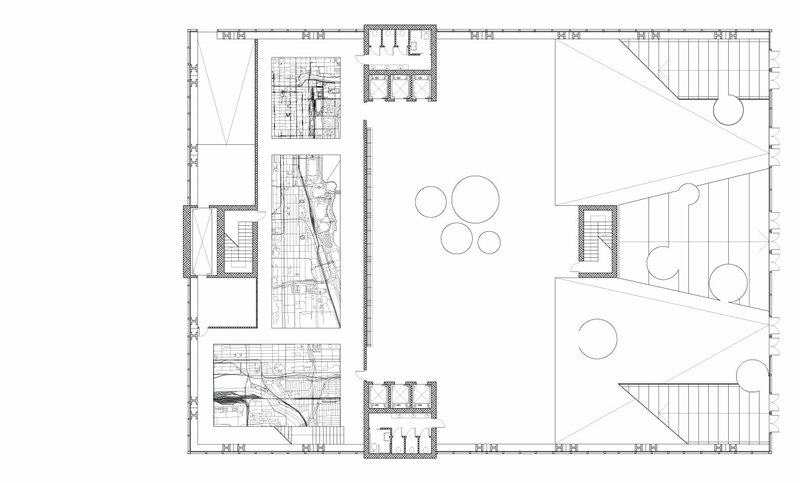 2 – first floor plan with lobby and chicago model gallery. 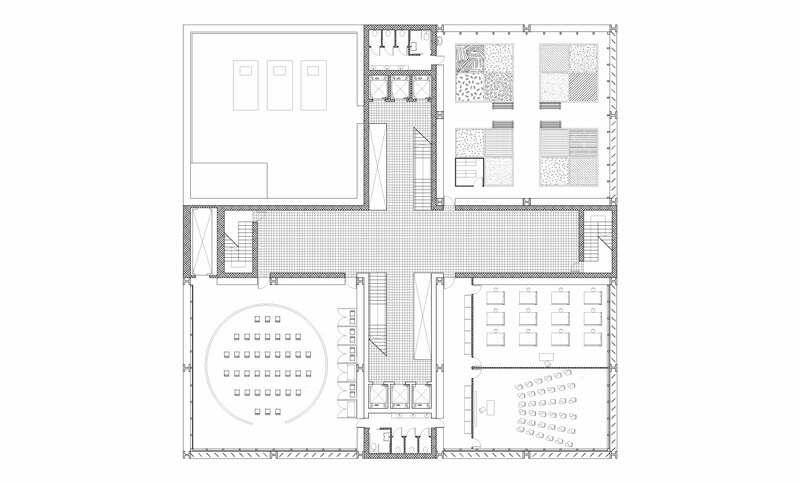 4 – sixth floor plan with exhibition space, dining space, cafe and library. 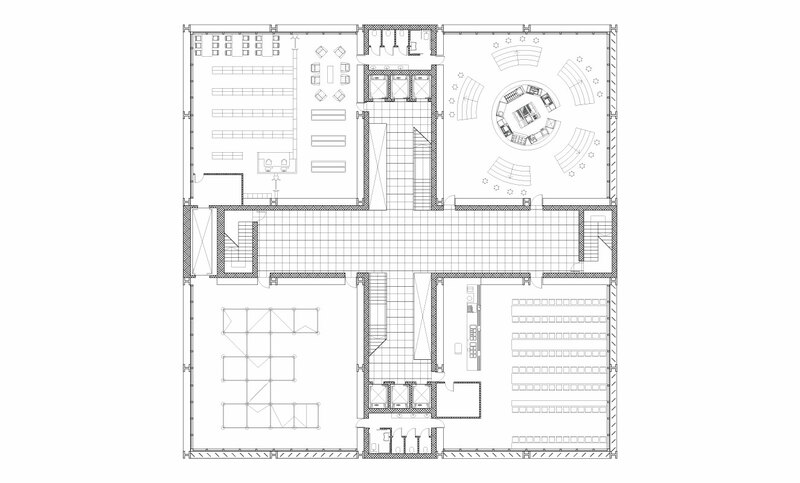 5 – 20th floor plan with event space, learning space and urban roof garden.